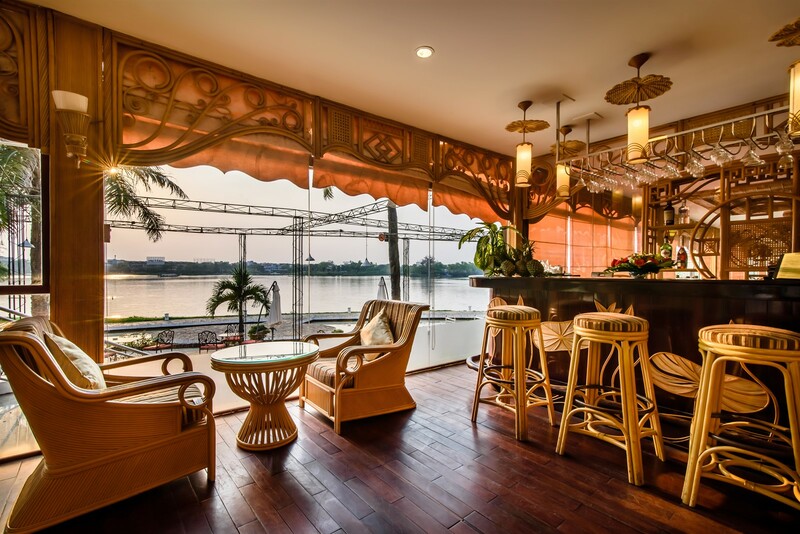 The Huong Giang Hotel Resort & Spa is strategically located in the city centre of Hue, rightly on the poetic banks of the Perfume River. 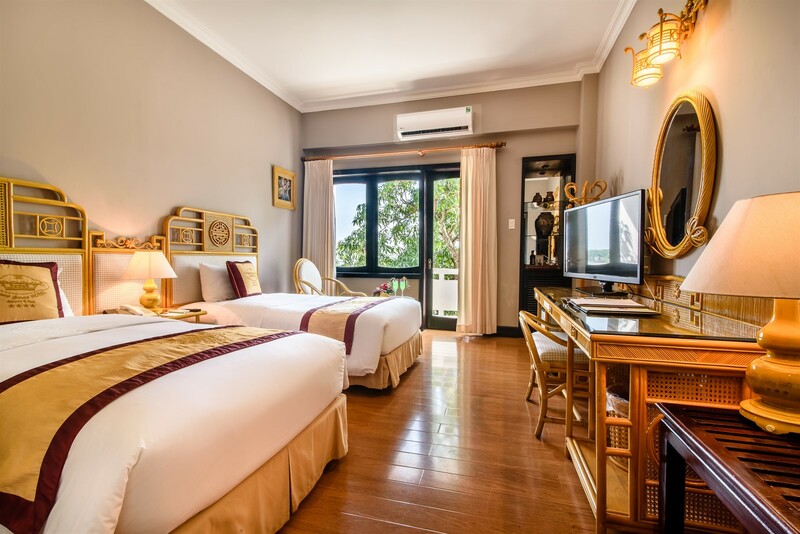 The Hotel is a superb place for tourists to contemplate the panorama of the beautiful city of Hue and visit the historical monuments, places of tourist interest, and famous landscapes of the Charming Hue Ancient Capital. 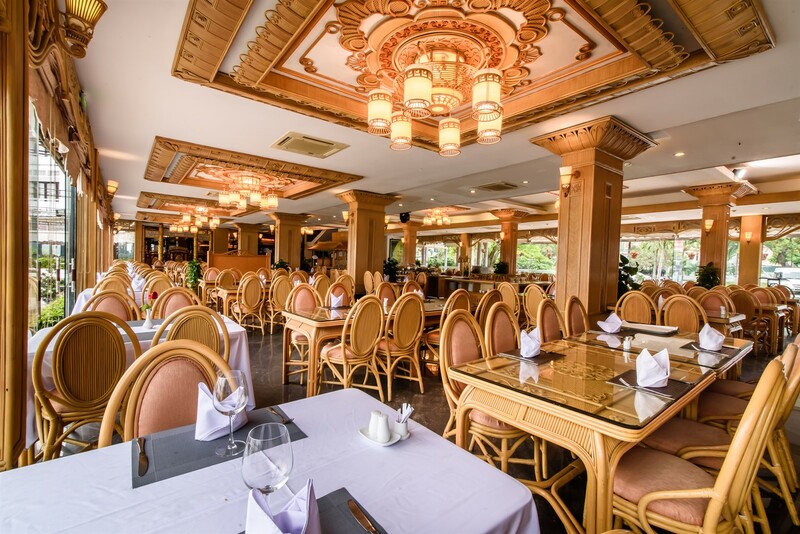 The special trait of the Huong Giang Hotel is a combination of the modern architecture and the Hue Royal Court decoration inside mixed with the green of the tropical plants in bloom in the four seasons. 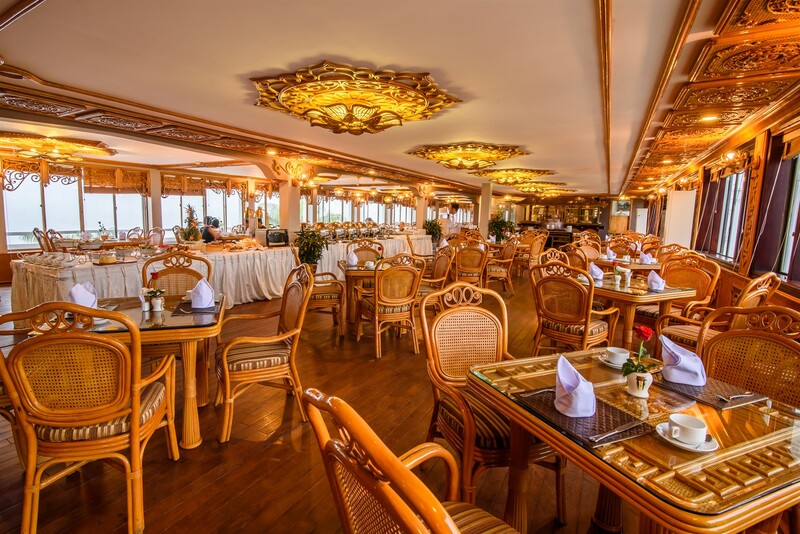 With the professionally qualified personnel and the elegant and caring service, we are confident that the customers will have breathtaking and interesting feelings with “our golden prestige”. 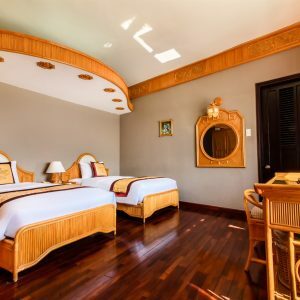 "My wife and I stayed four nights at the Huong Giang Hotel Resort & Spa as it was the site of an international conference at which we were speaking. We ate several meals in the hotel restaurant and used the conference facilities, which were spacious, comfortable and technologically up to date. We liked that the restaurant had both Vietnamese and European menus. Our room was cozy but comfortable with modern furnishings. 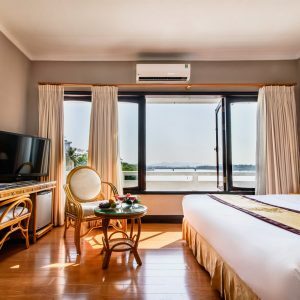 We were in Hue during a heat wave, with the temperature around 100 F every day, but the room cooled down quite comfortably. 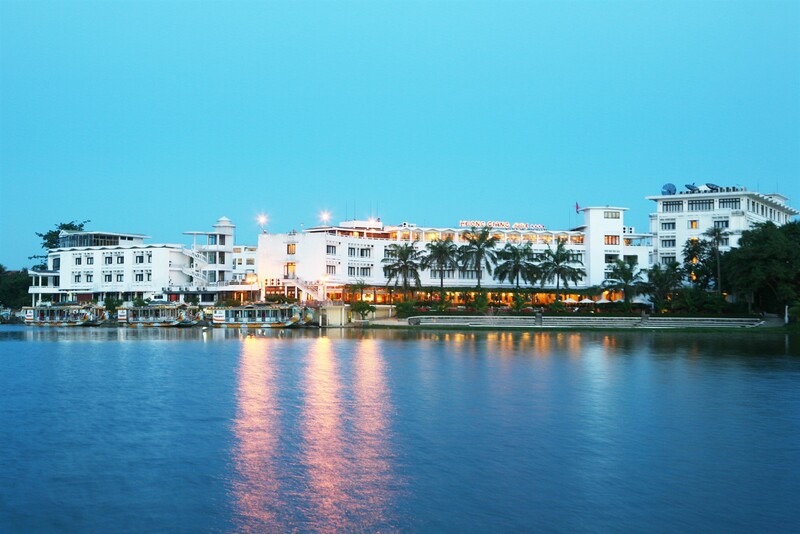 We loved the view of the Perfume River at the rear of the resort, and one day we cruised via dragon boat from the Pagoda of the Celestial Lady to the resort -- a relaxing and scenic way to travel." 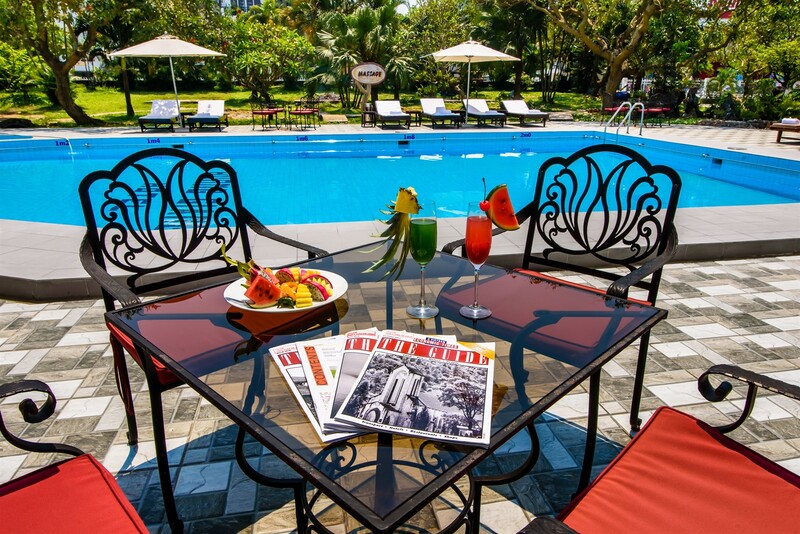 Very helpful staff, comfortable rooms and good views!! 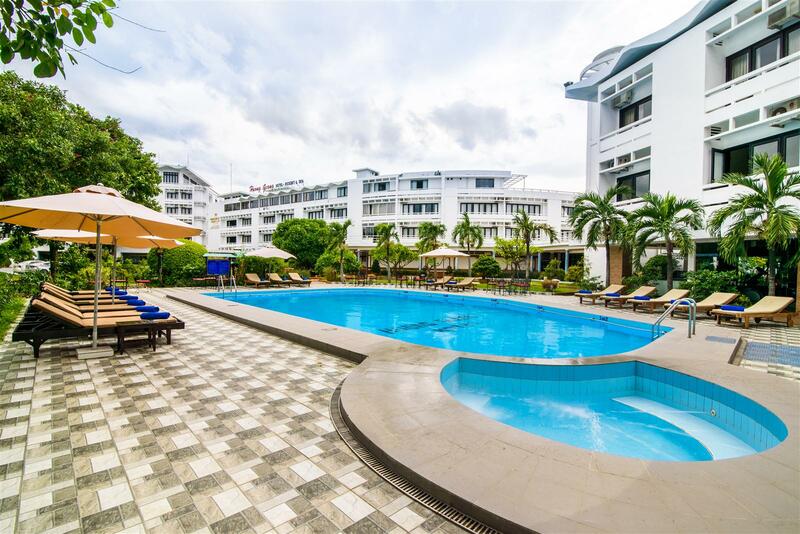 "The staff at Huong Giang hotel are very welcoming and made us feel comfortable! They helped us organise motorbike tours an suggested daily tours and restaurants within Hue to visit. They were the best staff on our travels through Vietnam! 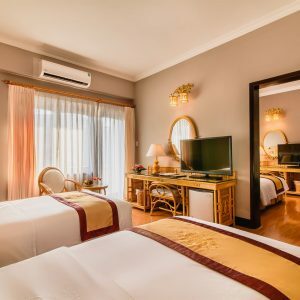 The rooms were clean, comfortable and well priced." 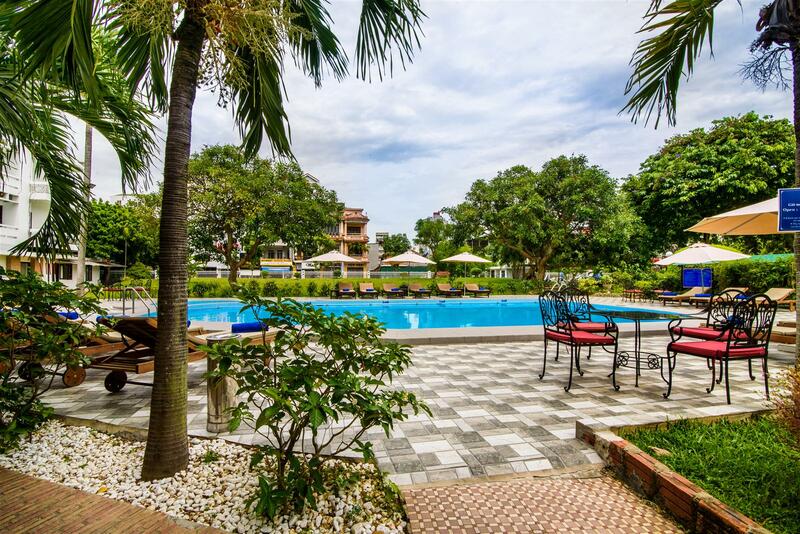 "I was in Hue with day trips out of town, and found this hotel to be a superb home base while I was there. 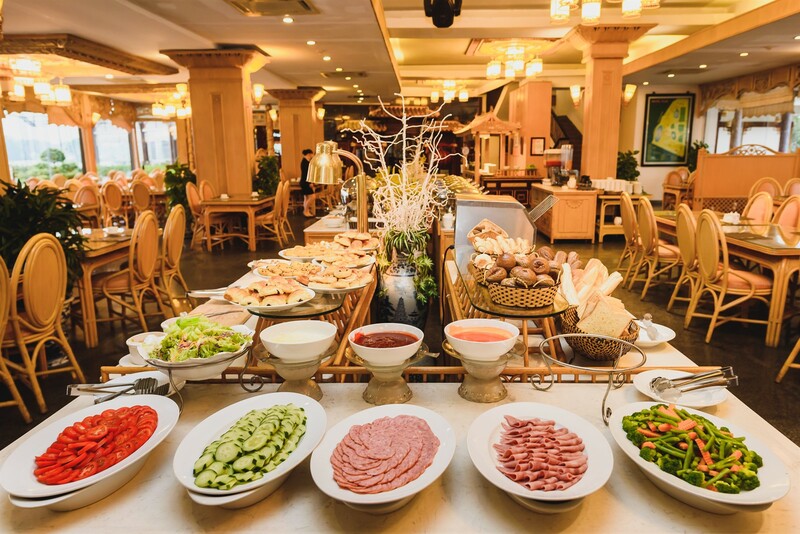 The staff were incredibly kind and helpful, the breakfast delicious, and offering western, Vietnamese, and other foods to satisfy a wide range of tastes. Especially helpful were the kind people who helped me book both a tour of nearby sites and secure transportation for a trip to the Mine Action Visitor Center in Dong Ha. 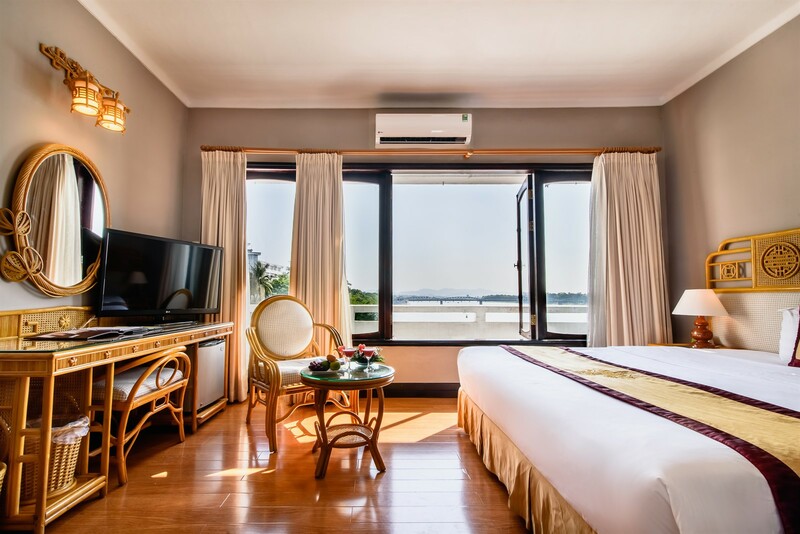 I highly recommend this hotel, not only for its beautiful views and lovely rooms, but also for the knowledgable and very helpful staff." 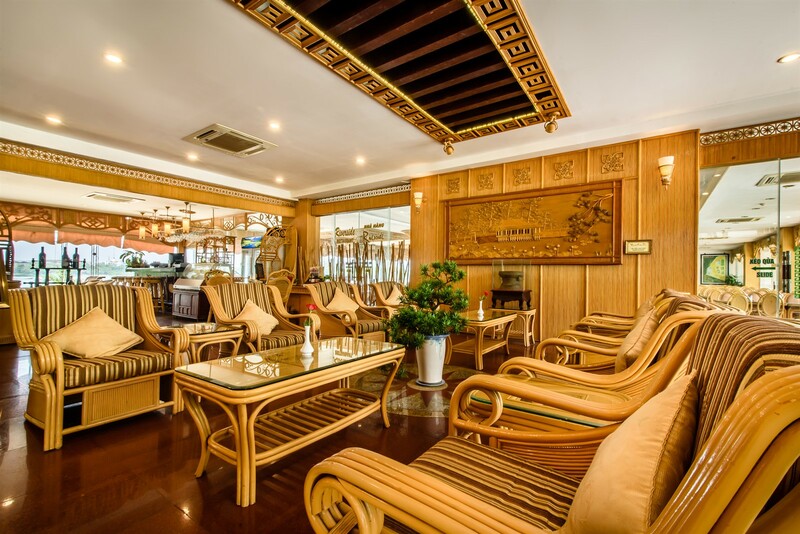 "Our hotel held a trip for the staff to Hue. And we stayed in this hotel for two nights. My self and my coleague shared a nice room with twin beds. 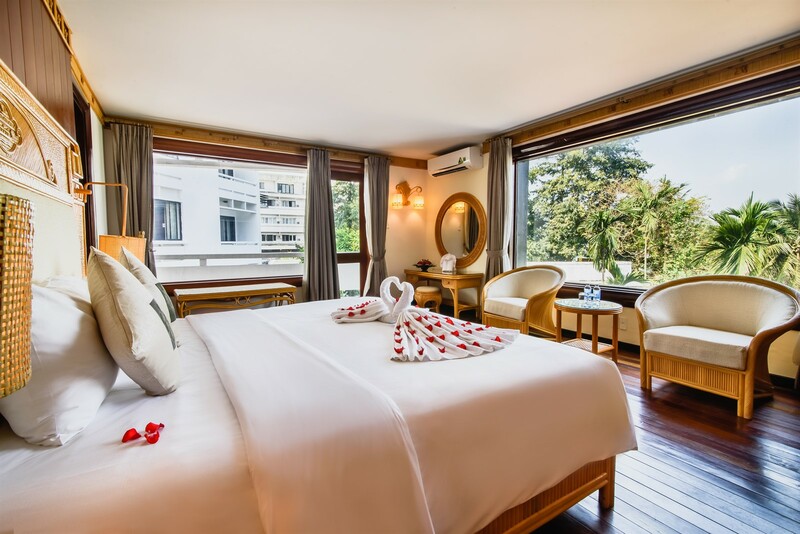 Our room has a garden view, room has airconditioning, it is not so large but nice decoration , clean and comfortable. Breakfast is good, many choices. The pool is clean but small. We had great experiences here. Highly recommended." 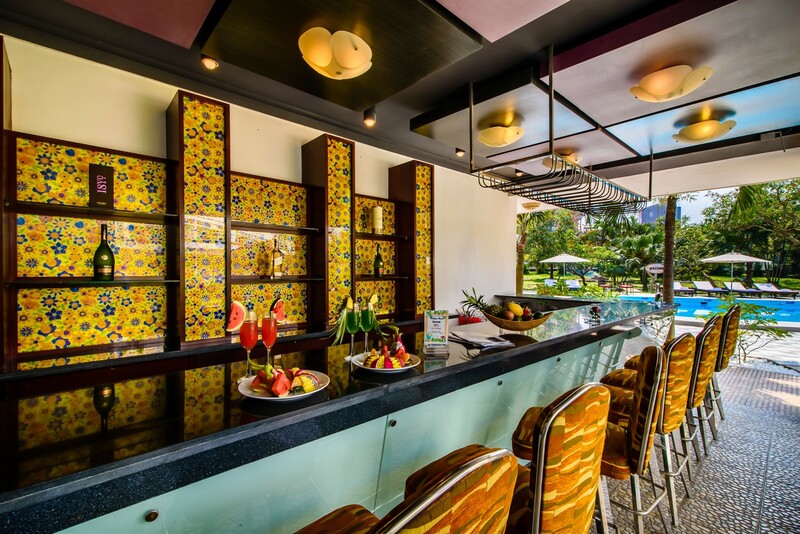 "We enjoyed a delicious breakfast sitting by the window overlooking the river The service from the staff was wonderful Great selection of food and we thoroughly enjoyed our breakfast. 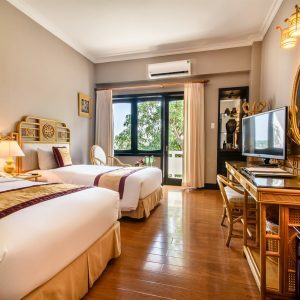 This is the oldest hotel in Hue and a delight to stay at. Thoroughly recommend it to all people and age groups."